JNN 03 Feb 2014 Riyadh : Saudi Arabia put into effect a sweeping new law Sunday that human rights activists say allows the kingdom to prosecute as a terrorist anyone who demands reform, exposes corruption or otherwise engages in dissent. Human rights activists were alarmed by the law and said it is clearly aimed at keeping the kingdom’s ruling Al Saud family firmly in control amid the demands for democratic reform that have grown louder since the Arab Spring protests that shook the region in 2011 and toppled longtime autocrats. 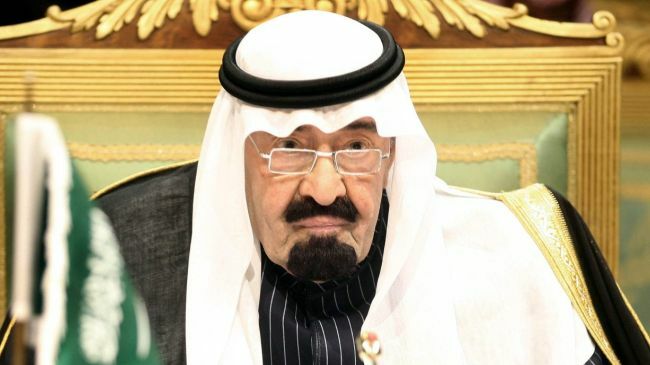 The measure was approved by the Cabinet on Dec. 16 and ratified by King Abdullah. It was published in its entirety for the first time on Friday in the government’s official gazette Um Al-Qura. In defense of the law, the Saudi minister of culture and information, Abdel Aziz Khoja, was quoted in December as saying that the legislation strikes a balance between prevention of crimes and protection of human rights according to Islamic law. Saudi Arabia is one of the world’s last absolute monarchies. All decisions are centered in the hands of 89-year-old King Abdullah. There is no parliament. There is little written law, and judges — implementing the country’s strict Wahhabi interpretation of Islam — have broad leeway to impose verdicts and sentences. An attempt to pass a similar counterterrorism law in 2011 was shelved after rights groups in Saudi Arabia and abroad leaked a copy online. Since then, dozens of activists have been detained, a prominent rights organization was shut down, and authorities more aggressively monitor social media websites like Facebook and Twitter, where jokes about the aging monarchy are rife and anger over corruption, poverty and unemployment is palpable. Activists said that simply exposing corruption could be seen as a violation of the law. Some also warned that Saudi women who get behind the wheel of a car in violation of the ban on female drivers could be tried under the new anti-terror law. The law also gives the interior minister the power to end sentences and drop charges. It says only the interior minister can order the release of a person on trial. Judges would have no say. Other worrying aspects, activists said, include an article that says police can raid homes and offices on suspicion of anti-government activity without prior approval from a judge or even a superior. Suspects can also be held incommunicado for 90 days, and lawyers are not required to be present during the initial interrogation. Al-Shubaily is among 12 activists in the country who founded the Saudi Association for Civil and Political Rights, known in Arabic by its acronym HASEM. The group was shut down, eight of its founding members were imprisoned, and he is facing trial. This entry was posted in Middle East and tagged Abdel Aziz Khoja, Abuse, Free Speech, Human rights, human rights activists, King Abdullah, Saudi Arabia, saudi monarchy. Bookmark the permalink.